In the picturesque village of Bran, this hotel enjoys a quiet location close to Dracula's Castle. 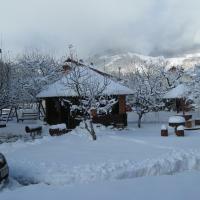 It offers offers fine Romanian cuisine, panoramic mountains views, free Wi-Fi and a sauna. All rooms have a balcony and a private bathroom and come equipped with a satellite TV and a minibar. 9 miles from the winter resort of Poiana Brasov and 11 miles from the Predeal Resort, the Hotel Le Provence is a perfect base for ski vacations. The local ski area is only half a mile away. The cozy fireplace in the lobby of the Hotel Le Provence and the sauna are inviting places to unwind. Pensiunea Casa Doina is situated in Bran close to the Bran Castle and 15.5 miles from Brasov. It offers accommodations with balconies, cable TV and free Wi-Fi internet access. The Casa Doina provides 10 free parking places, a children's playground and a barbecue area. You can visit the Wolf entertainment center, which has a bowling alley, a swimming pool and a movie theater, and is only 1.8 miles from the guesthouse. There are numerous restaurants close to the Pensiunea Casa Doina and 3.7 miles away is the Bran's Gate ski resort. Pension Katharina is located in Bran only half a mile from the Castle of Bran. It offers spacious and bright rooms with Sat TV and free Wi-Fi internet access. The rustic restaurant serves traditional dishes accompanied by a wide selection of wines. Pension Katharina features a playground for children, a fitness room, ping pong and pool table. There is a garden with fruit trees and green grass where barbecues can be organized. Located in the peaceful Bran Moeciu area, Serena Guesthouse Bran provides comfortable accommodations with amazing views of the Bucegi Mountains or/and Piatra Craiului and its own restaurant. The Serena is a perfect venue for smaller and larger groups, with experience in hosting team-building events and diverse meetings. Situated on the first floor, the Serena Restaurant seats up to 40 people, serving skilfully prepared meals prepared according to your wishes. Enjoy the enchanting mountain view while sitting in front of the fireplace and savor delicious Romanian traditional cuisine. At the restaurant, you can also organize special events and festive meals. The conference room, which is situated on the top floor, seats 20 participants and can host seminars and meetings. After your meeting, the room can be transformed and you can play ping pong, darts or backgammon there. Upon request, the hotel's staff can also organize paintball games, horseback riding and badminton. Hotel Contele Vladimir in Bran boasts a spectacular view of the Bran Castle, also known as Count Dracula’s Castle, and the mountains. The castle is less than one mile away and there are convenient, direct buses from the central train station of Brasov to Bran. Relax in the spacious rooms and at the cozy fireplace. The bar and terrace are kept in natural colors and the stone elements have a rustic touch. Dine at the 4-star restaurant serving Romanian and international cuisine, accompanied by a rich selection of refreshments, liquors, cocktails and wines. The area around the hotel has a lot to offer. Ski slopes in winter and paintball fields await you. Opened in April 2009, Hotel Wolf in Bran is a perfect destination both for business guests and tourists, combining state-of-the-art facilities with classic and luxurious interior. The property is only a mile from the famous Bran Castle, which is regarded as Count Dracula's castle. You will be delighted by the pleasant and comfortable ambiance of Hotel Wolf. Bran is about 18 miles away from the main city in the area, Brasov, and there are hourly buses that can take you there. This brand new 4-star hotel is located in the heart of the Carpathian Mountains in Central Romania, only a mile from Bran Castle. Enjoy fresh mountain air, a peaceful and tranquil setting, and a luxurious atmosphere at the Bran Belvedere Pension. Harmoniously combining a traditional rustic style with modern comfort, the Bran Belvedere offers beautiful views of the Bucegi and Piatra Craiului mountains and the surrounding forests. There are 2 restaurants, one traditional and one modern. Both serve Romanian as well as international cuisine. The individually designed rooms and apartments all have a balcony. There is also a day bar, a conference hall, a gym, a sauna, and a pool table. Several supermarkets are only a 5 minute walk away. A short walk takes you from the Bran Belvedere to famous Bran Castle, widely known as “Dracula's Castle”. Pension Casa Medievala is quietly located in Bran, just 200 metres from the Bran Castle and close to Brasov. It offers cosy rooms with wooden interior, a fridge, free Wi-Fi and cable TV. The guesthouse features a large dining room and a courtyard with parking area. You can enjoy panoramic views of the Bucegi Mountains and Bran Castle at the guest house. Barbecue facilities are provided in the garden. A 3-minute drive from Bran Castle, Hotel Wolf 1 provides free spa access, free internet access and free video-surveilled parking. The spacious rooms have satellite TV and minibars. You can start your day with a rich buffet breakfast including local products at the rustic Tavern of Wolves restaurant. The heated and covered swimming pool is 250 m² big. The Wolf 1 features a soccer field, bowling facilities, darts, paintball and archery. The property is a 30-minute drive from Brasov and professionally guided tours to Bran Castle, the Zarnesti reserve or the city of Rasnov can be organised by the staff. Guests can also go skiing on the Zanoaga ski slope, which has an average difficulty. Only 165 ft from Bran Castle, this guesthouse offers functional, bright rooms with a private balcony and free Wi-Fi. There is a terrace with barbecue. 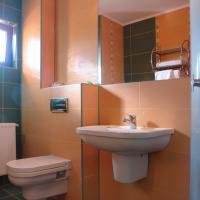 Rooms at Pension Casa din Bran feature hardwood floors and tiled bathrooms with a heated towel rack. Each room is equipped with a flat-screen cable TV and minibar. Traditional recipes are served at the restaurant. During the warmer months, dining is possible on the grounds. Bran is located in the Bucegi Mountains region, near the Piatra Craiului National Park. Brasov is only 20 miles from Casa din Bran. Offering home-made bread and pastry from the in-house bakery, Pension Mama Cozonacilor also has a pond with trout. Free public WiFi is provided and transfer to Bran Train Station is available. All rooms come with a TV and private bathroom with shower. Pension Mama Cozonacilor is decorated with traditional country-style wooden elements. There is a restaurant serving typical regional cuisine. The guest house is 6 km away from Bran Castle, 9 km from the Bran-Zanoaga ski slopes and 32 from Brasov, the medieval town. Located in quiet surroundings, the Casa din Bran Villas are one mile from Bran Castle and the center of the city. Each villa has a fully equipped kitchen and a balcony. The villas have a living room, a kitchen and 2 bedrooms with bathrooms on the first floor. On the upper floor there are 3 bedrooms with bathrooms. There are jacuzzi bathtubs in 2 bathrooms and each bedroom has a flat-screen TV. A restaurant serving traditional Romanian food is only a 10-minute walk from the Bran Villas. Ingredients come from the restaurant's own farm. The ski slopes of Bran are one mile from the Casa din Bran Villas. Perched on a hill just 1 km away from Bran Castle, Vila Transylvanian Inn offers a terrace with a panoramic view of Bran, the Castle and the Râşnov Citadel. Most rooms have a balcony. Free Wi-Fi and a TV set are provided in all rooms. They are decorated in terracotta colours and have white walls. Toiletries are provided in the bathroom. Romanian dishes are served at Transylvanian Inn’s restaurant. You can also enjoy a rich buffet breakfast here every morning. Packed lunches are available on request. Bicycles can be rented at the front desk. There is also a games room with table tennis, billiards and darts. Just 30 metres from Bran Castle, this non-smoking guest house in Bran offers a pretty terrace, a children’s playground, and country-style rooms. Free private parking is provided. The Pension Ana Bran has brightly decorated rooms with TV and private bathroom. Free Wi-Fi is provided in all public areas. Varied breakfasts can be enjoyed in the Ana Bran’s spacious dining room with TV. Guests are also welcome to use the guest house's fully equipped shared kitchen. The Zanoaga Ski Slope is only 4 km away from the Ana Bran Pension. Guests can book shuttles to Brasov Central Station, about 30 km away. A 5-minute drive from the center of Bran and Bran Castle, Villa Roua has 5 bedrooms, a full kitchen and living room. The property has a sauna and several balconies. Wi-Fi is available free of charge. The kitchen has a gas stove and oven, a refrigerator and microwave. The bathrooms have heated towel dryers. The large dining and sitting area feature leather sofas and a flat-screen TV. A ping-pong table is also available. Piatra Craiului National Park is a 20 minute walk from Villa Roua. Zanoga Ski Slope is 5 miles away. The Poiana Brasov Ski Region is a 30-minute drive away. Surrounded by a lush pine forest, this villa is on the Simon Valley and just 7 km away from the Zanoaga ski slopes in Bran. It has its own garden and a fully equipped kitchen. 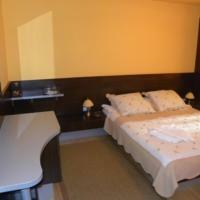 Vila Ambasadorului offers 3 double bedrooms and 2 suites, each featuring a private bathroom. The large living room has 2 sofa beds, a coffee table and an LCD TV. There is also a flat-screen TV in every bedroom, and some have a balcony. The kitchen comes with a 4-plate gas cooktop and oven. It is also fitted with a microwave, a fridge and a kettle. Kitchenware and cooking utensils are provided. The villa also offers a separate dining room. In summer, you can have a barbecue and eat on the garden terrace. There is also a swing for children to play. Ambasadorului Villa is 3.5 km away from Bran Castle. You can also visit Râ?nov Fortress, located 20 km away. Set in a peaceful and secluded village at the edge of the forest, Pension Monica is just 2 km from Bran Castle, also known as Dracula's Castle. The ski slopes of Zanoaga is 6 km away, while the popular Poiana Brasov Ski Resort is 25 km from the Monica. Internet is provided free of charge. In the summertime, the Monica Pension offers many opportunites for outdoor relaxation. Guests can tan on the sun terrace, enjoy a book in the garden, or make use of the barbecue facilities. Meals are served upon request and you can buy traditional cheese and brandy. The kitchen can be used free of charge. Within 500 metres there is a bakery, a supermarket, and several restaurants. The cosy rooms are individually decorated with a personal touch, and feature hardwood floors, a TV, and a private bathroom. Only 1 km away from Bran Castle and Bran's centre, Pension Muntele Rece offers free billiards and table tennis facilities. The on-site restaurant serves Romanian and international dishes. A lounge area with a library is featured as well. All rooms at the Muntele Rece come with free wired internet, cable TV and hardwood floors. Some of the high-quality furniture pieces are original, Transylvanian-style painted furniture. The curtains, bed linen and towels are made with natural cotton textiles. Set in the village of Predelut and surrounded by the Bucegi and Piatra Craiului Mountains, the guest house is 5 km away from the Zanoaga ski slope. Transfers are available upon request. Horseback riding opportunities are 1 km away from the property. Rasnov Citadel is 10 km away and the city of Brasov is 25 km from the Muntele Rece Penzion. 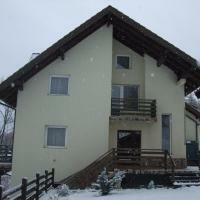 Club Vila Bran is a mountain resort situated 1km from Bran city centre, and 4 km from Zanoaga Ski Centre. It includes an indoor and 3 outdoor swimming pools, theatre, tennis courts and terraces with panoramic views over the Bran Castle and the Bucegi Mountains. Camp fires with folk music and hot red wine are on offer at Vila Bran’s traditional Romanian restaurant. It also showcases traditional Romanian and Greek dances, and international music recitals. All rooms at Club Vila Bran feature a terrace, private bathroom with corner bath, free Wi-Fi, cable TV and hairdryer. Horse and pony riding, archery, water gymnastics and zip-lining across the scenic valley are just some of the activites on offer as part of the resort's entertainment program. The resort can also organise a variety of team building and corporate training events. Surrounded by an idyllic orchard of apple and plum trees, the Pensiunea Laura features elegant white tiled stoves in several rooms. The balcony offers views of the Bucegi Mountains. Bran Castle and Bran city centre are both 2.5 km away. The Laura guest house has an 8000 m² garden with a gazebo and barbecue facilities. The house is built and designed with a combination of stone and wood. Guests in this villa have a kitchen, 4 bedrooms, and 4 bathrooms with a shower. Most rooms have a TV. The Zanoaga ski area is 8 km from Pensiunea Laura. For a day trip into town, guests can stroll over to the bus stop, 1 km away. From there, they can take the bus into Brasov, 35 km away. Enjoying a quiet location with views of the Bucegi and Piatra Craiului mountains, Casa Enescu is 2 km away from Bran Castle. It features a terrace with barbecue facilities and offers free Wi-Fi and free parking. 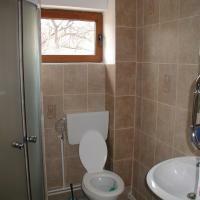 Each room at the Enescu guest house has cable TV and a private bathroom equipped with toiletries. 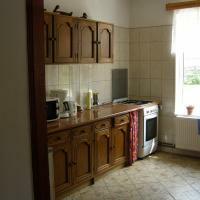 A fully equipped shared kitchen and a living room are available for the free use of all guests. Kids can have fun on the playground. The Zanoaga Ski Slope is 1.5 km away. The Rasnov Train Station is 13 km and the Rasnov Citadel is 15 km away. Set in an quiet area and offering panoramic views of the Bucegi and Piatra Craiului Mountains, Hotel Emire is just a 5-minute drive from Bran Castle, a 15-minute drive from the Zanoaga Ski Area and a 25-minute drive from the Rasnov Citadel. All accommodation units have elegant furnishings, free WiFi and a private bathroom. Several have a terrace, 2 floors and a living room. Internet is available in all rooms free of charge. Hotel Emire’s restaurant serves Romanian and international specialities which guests can enjoy in the intimacy of the stylish dining hall or on the terrace. Special diet menus can be arranged upon request. The property has also a bar where guests can benefit from a relaxing atmosphere accompanied by a variety of drinks, including tea and cocktails. A children’s playground is available on site and free shuttle services are offered. In the village of Bran, just 500 metres from the famous castle, guests can find Pension Carina. It offers modern rooms with free Wi-Fi and a balcony. A kitchen for common use is provided on site. All rooms come with a TV, a fridge and a bathroom with a shower, a hairdryer and toiletries. Pension Carina features a garden and a terrace. A playground is provided on site. The front desk is staffed 24 hours a day. A bus to Bra?ov stops 50 metres from the guest house. The Poiana Bra?ov Ski Area can be reached within a 15-minute drive. The closest ski slope is 4 km away and the Zarnesti Bear Sanctuary can be reached within 10 minutes by car. Free private parking is possible on site. Pensiunea Casuta Bunicii is built in a traditional Romanian style. It is peacefully situated in Simon, 8 km away from Bran Castle and 12 km from the Zanoaga Ski Slope. The renovated building is over 100 years old and it is surrounded by a garden with barbecue facilities. Guests can unwind at the fireplace in the living room of the guest house and make use of the fully equipped kitchen. Rasnov's Train Station is 20 km away from Pensiunea Casuta Bunicii. The Pension Mosorel - Magura is located amid the Piatra Craiului National Park, about 12 km from Bran Castle. All rooms have a private bathroom and there is also a restaurant on site, where lunch and dinner are served on request. In the large garden with tables and benches you can spend relaxing hours during the summer months. Free parking is possible on site and free wired internet access is available in the public areas. Within a 5-minute walk you can reach various small shops. Zarnesti Train Station is 7.5 km away. The Bran Ski Slope is 15 km away and the Poiana Brasov Ski Resort 30 km away from the Pension Mosorel. Within a 20-minute drive you can also reach a bear reserve. This guest house is quietly located in Bran, 600 metres away from Bran Castle and 5 km from the Poarta Ski Slope. Breakfast is served every morning in the dining room. 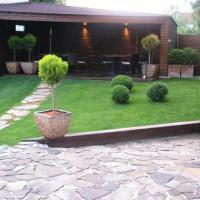 Pension Poiana Verde is surrounded by a garden with barbecue facilities. Each room is en-suite and equipped with a balcony. Guests can visit the ski resort Poiana Brasov, 22 km away, or Rasnov, 12 km from the Poiana Verde. Featuring a spa centre with a sauna and a fitness area, Hotel La Dolce Vita enjoys a quiet countryside location just 3 km from Dracula's Castle in Bran. An à la carte restaurant and a large terrace are offered. Free Wi-Fi and cable TV are included in all accommodation units. They all feature carpeted floors and a seating area. Most units have a balcony. The hotel's restaurant serves Romanian and international cuisine. Guests can relax at the Collina Bar, located on the ground floor. The Tempo Pub offers snooker and darts facilities, as well as a variety of cocktails. Armonia Health Centre also offers massage treatments and aromatherapy at a surcharge. La Dolce Vita has table tennis facilities on site. A business centre with meeting facilities and fax services is featured at the hotel. Front desk offers laundry and ironing services. Bran-Z?noaga Ski Slopes are 6 km from La Dolce Vita Hotel. The town of Bra?ov is at a distance of 25 km, and Piatra Craiului National Park is 50 km away. Surrounded by forested hillsides, Hotel Hillden Lodge&Restaurant is located 5 km away from the centre of Bran, a popular touristic destination. This hotel offers free Wi-Fi, comfortable rooms and a restaurant with the traditional Romanian food. Bright rooms overlooking the Bucegi Mountains feature a private bathroom with shower and a seating area. An LCD TV and free Wi-Fi are provided in each room. Every morning Hotel Hillden Lodge serves a breakfast buffet. Guests can enjoy the Romanian and international dishes in the well-lit restaurant. A large terrace is open during summer days when guests can enjoy al fresco dining. Medieval Bran Castle, the alleged Count Dracula’s home, is only 4 km away from Hotel Hillden Lodge&Restaurant. Rasnov Train Station can be reached within 3 km. This guest house is 1.5 km from Bran Castle. Surrounded by the Bucegi and Piatra Craiului Mountains, it is a 15-minute walk from the Zanoaga Ski Slope. The restaurant serves homemade Romanian specialities. The rooms have wood panelling and all have a balcony with mountain view. The private bathrooms have a shower. 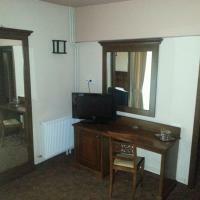 Free Wi-Fi access is available in the entire Pension Bran Ioana. A garden with fruit trees and a playground for children is at guests' disposal. In the summertime, guests can unwind on the large terrace. Overlooking the Bucegi Mountains, Bucuria Muntelui is quietly set in Bran. Right next to a forest, it offers home-made meals, free Wi-Fi and accommodation with balconies. Bran Castle, the alleged Dracula’s home, is 5 km away. All rooms have hardwood floors and a TV. 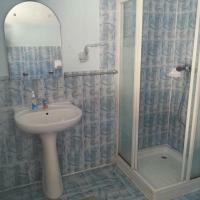 Each room comprises ironing facilities and a private bathroom with a shower and free toiletries. A garden with a sun terrace and barbecue facilities is at guests’ disposal. A fully equipped common kitchen can be used for meal preparation. A living area with a sofa and tables is also available. Zanoaga Ski Slopes are within a 7-km reach. A bus station is at a distance of 4.5 km. The city of Bra?ov is 30 km from the Bucuria Muntelui. The Guesthouse is set in the centre of Bran, 200 metres from Bran Castle, also known as Dracula's Castle. Surrounded by a large garden with children's playground, it also offers a fully equipped common kitchen and lounge area. Free Wi-Fi is available in the public areas of the Guesthouse. All rooms come with a private bathroom with shower and offer views of the Bran Castle. A TV and wardrobe are featured as well. The local bus station is 150 metres away and Brasov is at a distance of 28 km. The Zanoaga Ski Area in the Bucegi Mountains can be reached within 2.5 km. 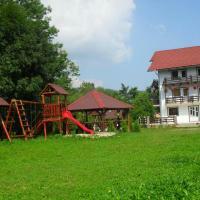 Vila Doina Branului is located in a small village, 3.8 km from the Bran Castle. This spacious accommodation unit offers 8 bedrooms, a balcony and a large terrace. Children can romp around on the on-site playground, while adults can use the BBQ facilities. The villa features a large kitchen with a fridge and a dining area. Free Wi-Fi is provided and the villa also comes with a TV. A garden is surrounding Vila Doina Branului and a football field is located next to the building. Deck chairs for sunbathing are available on site. The Bran Zanoaga Ski Slope is 8 km away and the closest grocery shop is 50 metres from the Doina Branului villa. Bra?ov is 30 km away and free private parking is available on site. The rustic Gentiana offers elegant en-suite accommodation with free Wi-Fi, just 400 metres from the bus terminal in Bran. On-site wellness facilities include a gym, a sauna, and a hot tub, while the large garden has a tennis court. Each of the room at the Gentiana Pension is decorated in a classic style, with exposed wooden beams. Amenities include a flat-screen TV. Some rooms have a private balcony overlooking the Bucegi Mountains. Each morning, breakfast is served in the dining lounge, or on the garden terrace. The on-site restaurant serves traditional regional dishes. Guests can rent cars directly at the property. Popular nearby attractions include the historic Bran Castle, located 1.5 km from the property. The Bran Zanoaga Ski Resort lies 1 km away. 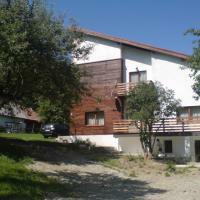 Vila Sarah Bran enjoys a peaceful location 20 metres from the Poarta River and 2 km from the Bran Ski Resort. It features a large garden with a summer terrace, a barbecue area and a playground. The spacious rooms come with free Wi-Fi and an LCD TV. The rooms also include a balcony offering views of the surrounding landscape. There is a fully equipped kitchen for common use. You can enjoy the table tennis facilities at Sarah Bran Vila. Free private parking is possible on site. Shops and restaurants can be found within 500 metres in the vicinity, and the Bran Castle can be visited within 2 km. The Zanoaga Ski Slope is 1 km from the guest house. The Rasnov Train Station is 12 km away, and the city of Brasov can be reached within a 30-minute drive. Sohodol’s Pension Bettina has an on-site restaurant that serves Romanian cuisine which can be enjoyed on either of the property’s 2 outdoor terraces in good weather. Wi-Fi is available in the entire Pension free of charge. Rooms at the Bettina are spacious and have a balcony with views to the Piatra Craiului Mountains. They also have a bathroom and a flat-screen TV. The Bettina has a garden with barbecue facilities and a camp fire site. Private parking is available on site free of charge. Bran Castle, the Rasnov ski slopes and the Bear Nature Reserve can all be reached by car in 10 minutes or less. The Poiana Bra?ov sky slopes are a 20-minute drive away. Situated 700 metres from the Bran Castle, Pension Condurul Reginei offers a large garden with a covered terrace, barbecue facilities and children’s playground, as well as common living room and shared dining area. Wi-Fi is for free. All rooms come with rustic-style decor, a balcony and a flat-screen TV. 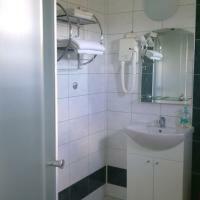 A private bathroom is comprised in each unit, and provided with a hairdryer and free toiletries. Sauna and hydro-massage shower are available for guests’ relaxation at an additional cost. Billiard facilities and social games are also available on site. Ski Slope Zanoaga is within 3 km. The main road DN73 is 150 metres from the Condurul Reginei Pension and Medieval Fun Park Provocarea Contelui can be found 800 metres away. Rasnov Citadel is at the distance of 13 km. Bran Bus Station is 150 metres from the premises. Private parking is possible on site for free. Located just 3 minutes’ drive from Bran Castle, Pensiunea Belvedere is surrounded by the Bucegi and Piatra Craiului Mountains. It offers free Wi-Fi and rustic rooms with a mountain-view balcony. Zanoaga’s Ski Slopes are a 2-minute drive away while Rasnov Citadel can be reached by car in 20 minutes. In every room at Pensiunea Belvedere you will find a seating area with a coffee table and chairs. Bathroom facilities are shared with one other room. Guests can prepare meals in the shared kitchenette. Home-made products and ingredients can be supplied by the hosts on request. Under the gazebo you can use the barbecue facilities. There is a large dining area with a TV and games corner. ATV rides, horse carriage and sleigh rides can be organised upon request. Surrounded by a large garden with views of the mountains, Pensiunea Marina/Mir offers a shared kitchen and a covered terrace with barbecue facilities. Free Wi-Fi is provided across the property, and all rooms enjoy a balcony. Further amenities in the units at Marina/Mir Pensiunea include a TV and a private bathroom with shower and free toiletries. Some have separate bedroom and living areas. The guest house also includes a conference room. The ski slopes of Zanoaga are easily reachable by car in 10 minutes. A grocery shop and a restaurant can be found within a 400-metre radius. The bus terminal in Bran is 300 metres away, while Train Station Brasov is around a 30-minute drive away. Bran Castle is 2 km from the property. Located on the outskirts of Bran, Bran Hostel offers functional bright rooms and free Wi-Fi access across the property. A common fully equipped kitchen and a garden with barbecue facilities are at your disposal. The lodgings feature shared bathroom facilities and heating. Bran Castle is 3 km away, and the ski slope Bran-Z?noaga is reachable by car in 10 minutes. The closest bus station is 250 metres away, while Bra?ov Resort is a 30-minute drive from Hostel Bran. Located in Bran-Predelut, 4 km from the Zanoaga Ski Slope, Vila Carpathia offers a restaurant with a bar, a fireplace and a terrace. There is a garden with barbecue facilities on site and free Wi-Fi is provided in the entire building. The rooms of Vila Carpathia include a private bathroom and a seating area with cable TV. Some have a balcony. Bran Castle is 700 metres away. Pensiunea Casa Nostalgia is located nearby the main road in Bran, and offers elegant classic-style rooms with flat-screen cable TV. It has a modern spa area and an entertainment area with billiards, table tennis and darts. The on-site restaurant at the Casa Nostalgia has a summer terrace and serves international and Romanian cuisine. Enjoying views of the surrounding mountains, each unit also comes with a mini bar and a private bathroom. Seating facilities are available in all. Free Wi-Fi access and free private parking are provided on site. Bran Castle is 1.5 km from the property, and a 10-minute drive will take you to the popular Rasnov Citadel and the Rasnoavei Cave. Vila Iancului enjoys a secluded location in Bran, just 11 minutes’ walk away from Bran Castle, and offers views of the surrounding mountains, free private parking and free WiFi in public areas. All rooms feature wooden and modern-style decorations, flat-screen TVs and private bathrooms. On each floor there is a living area with sofa and a kitchenette. Guests at Vila Iancului can make use of a fully equipped kitchen on the ground floor with a large dining table and a bar. Barbecue facilities and a terrace with a wooden rocking chair are at guests’ disposal. Grocery stores and restaurants, as well as a bus station can be found in the city centre, 800 metres from the property. The old citadel of Rasnov is 10 km away. 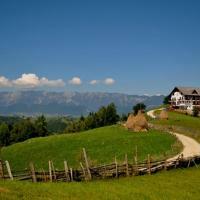 Enjoying a quiet location in Bran Region, Pensiunea Acasa Bran is surrounded by Bucegi and Piatra Craiului Mountains. Featuring a large garden with barbecue facilities, playground and an outdoor pool, it offers accommodation with free Wi-Fi. All rooms come with a TV and a private bathroom with shower. Villa features a fully equipped kitchen and a living room, while guests staying in rooms have a shared kitchen at their disposal. A bus station is 600 metres away. Grocery store and a restaurant can both be reached within 800 metres. Bran Castle is 2 km from the Pensiunea Acasa Bran and Râ?nov Citadel is 9 km away. Hiking and skiing opportunities can be found in the vicinity. Zânoaga Ski Centre is 6 km away. Râ?noavei Cave can be found 11 km away and Dâmbovicioara Cave is at a distance of 30 km. Free private parking is possible on site. Surrounded by mountains, 6 km from Bran, Pensiunea Dumbrava Minunata 2 offers a garden with a children’s playground and barbecue facilities. Free Wi-Fi is provided in the entire building and free private parking is possible on site. The rooms include a private bathroom and cable TV. Some rooms have a balcony. There is a common dining area available for guests. Bran Castle is 6 km away and the Z?noaga Ski Area is 12 km from the property. Shops and restaurants can be reached within a 10-minute walk. In Moieciu, within a few minutes’ drive from the Bran Castle, also known as the Dracula’s castle, Pensiunea Ando features a garden with barbecue equipment, table tennis and children’s playground, as well as indoor karaoke facilities, all available for free. All accommodation units are with views of the surrounding landscape and functionally furnished. They are equipped with cable TV, and comprise a private bathroom provided with a hairdryer and toiletries. Wi-Fi is in all areas for free. There is also a common living area with a TV, a spacious dining area, and a fully equipped kitchen including an oven and a microwave. A restaurant and a grocery store can be found within a 400-metre distance. The Ando’s is 300 metres from a bus stop, which offers connections to the resort town of Bran 1.3 km away. Z?noaga Ski Slope is reachable in 7 km, while Râ?nov Citadel can be found within 14 km. Free private parking is on site. Just 1.5 km from Bran Castle, Pensiunea Luminita in Bran is surrounded by a large garden with an outdoor pool and a children’s playground. The rooms overlook the mountains and include cable TV and a private bathroom. Free Wi-Fi is available. A daily buffet breakfast is available in the shared living room. Lunch and dinner can be prepared on request. Guests also have access to a shared kitchen. The Luminita’s garden also includes a terrace with barbecue facilities. Free private parking is available on site. Bran Bus Station is 800 metres away, and the Zanoaga Ski Area is 6 km away. Rasnov Citadel is 15 km away. Pensiunea Hanul Oierului is located in the quiet village of Simon, 5 km from Bran Castle, and features a garden with barbecue facilities and gazebos and en-suite rooms equipped with bathrobes and free toiletries. Meals are offered on request and you can make use of the barbecue facilities. Children can have fun on the playground. The Bran-Z?noaga Ski Slope is 10 km away and the Liliecilor Cave is 15 km away from the Hanul Oierului guest house. Opened in January 2013, Trattoria Al Gallo is 300 metres from the Bran Castle, and houses an on-site restaurant with Italian cuisine and a snack bar. A children’s games room and billiards, table tennis and darts facilities are also featured. All rooms come decorated with antique-style accessories. Each unit is equipped with a flat-screen TV, and contain a private bathroom provided with free toiletries. Some also include a balcony and a seating area. Wi-Fi is available in all areas at the Al Gallo’s, and is for free. Free private parking is also possible on site. Bran-Z?noaga Ski Slopes are reachable in 5 km, while Poiana Bra?ov is reachable in 22 km. A bus station is 200 metres from the property. Shuttle services are offered for a charge and on request.